Often, we hear stories of those who made it home from war or those who paid the ultimate sacrifice fighting for their country. However, we do not always hear the stories of those who were captured or never found in conflict—our nation’s Prisoners of War (POW) and Missing in Action (MIA). Nonetheless, their families grieve just like Gold Star families, but without closure. 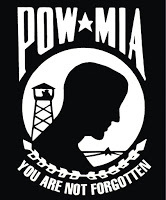 To put this into perspective, as of June 9, 2016, there are still 1,618 unaccounted for POW/MIAs from the Vietnam War according to the National League of POW/MIA families. The next day [after receiving the news of Bedford’s death on D-Day], in our childish way, my sister Rachel and I thought we might cheer our folks up by making them some ice cream. We were over the freezer cranking away when there was another knock – another telegram. “The War Department regrets,” the too-familiar preamble read, “to inform you that your son, Staff Sgt. Raymond Samuel Hoback is missing in action.” Mom and Dad were overcome with grief and I along with them. To this moment I can remember nothing else that happened that day. Time simply stopped. Because they were unable to bring home Raymond, the Hobacks chose to keep Bedford in the American Cemetery at Normandy. Unfortunately, this is just one of the thousands of stories of POW/MIA families across the United States. If you are in the area, we would love for you to join the National D-Day Memorial on Saturday, September 17 at 11 a.m. for a ceremony to honor our nation’s POWs and MIAs. The event will include a special Missing Man ceremony, wreath laying, songs by Rick Dellinger, and keynote speaker Robert O. Gray, POW, Korea. 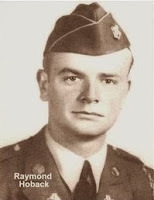 Gray enlisted in the Army in 1949 at the age of 17. He was stationed in Japan as part of the 24th Infantry Division until he was sent to Korea at the start of the war there. He was captured by the enemy in November 1950, and spent 34 months in a POW camp. Gates open at 10 a.m. and admission is free until noon. Please bring a chair as seating is limited. Sam’s Dogs will be on site with food available for purchase. 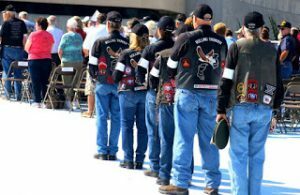 Rolling Thunder Chapter 4 and Lynchburg Harley Davidson will also host a Benefit Run to the Memorial on the morning of this event. For more information on how to participate or donate to the cause, email RTVACH4@gmail.com or click here.